After Joe Girardi's Game 2 gaffe I thought the Yankees were done. But then when I was at the Stadium for Game 4, I saw a team playing with a lot of heart. And then Todd Frazier confirmed that after the Yankees polished off the Indians in Game 5 last night when he said, "This one is for Joe." What a time to be a fan. As the ALCS is set to begin Friday night, it's time to gear up. Literally. 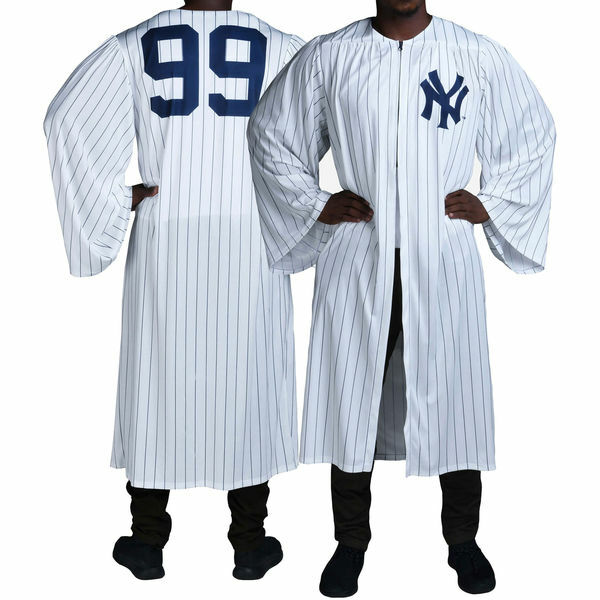 Check out this Pinstripe Judge Robe. I'm a big fan, despite his record-setting 16 strikeout performance in the ALDS. 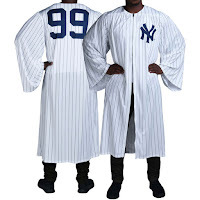 And who doesn't love "Sir Didi" Gregorius? I love this spin on a classic T.
Disclosure: I will receive a 10% commission on any purchase made on MLBShop.com. Happy shopping!